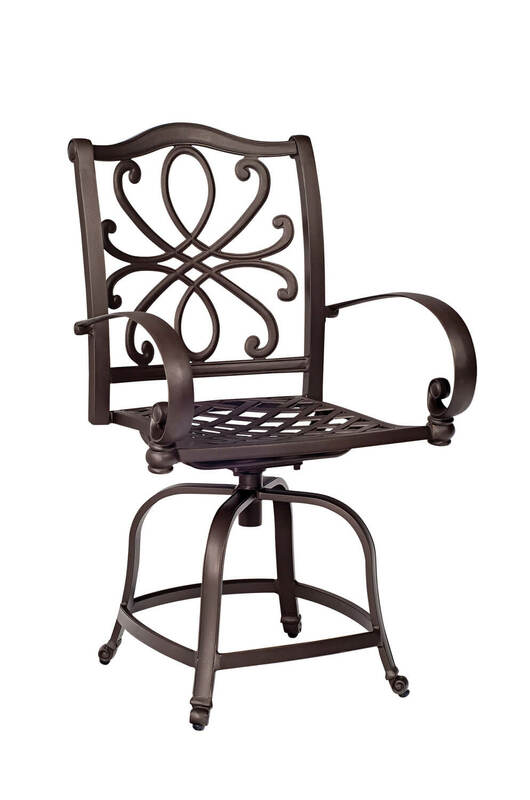 Ornate and ample, the Holland intends to embellish. 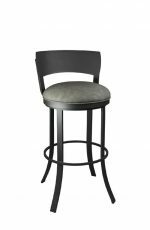 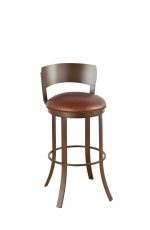 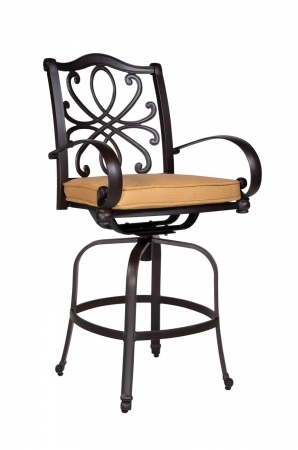 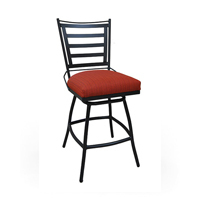 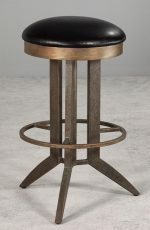 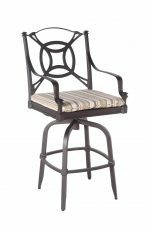 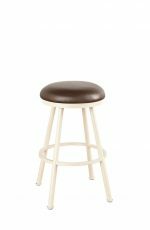 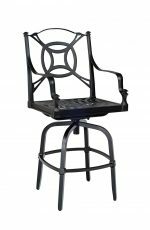 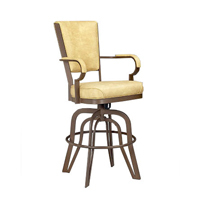 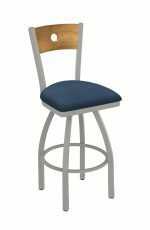 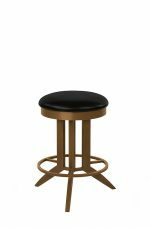 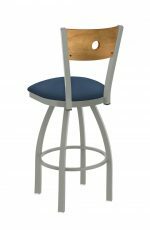 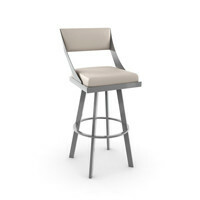 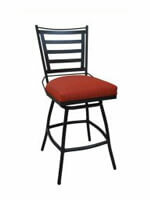 With oversized seats and overstuffed cushions, this swivel bar stool envelops you from the start. 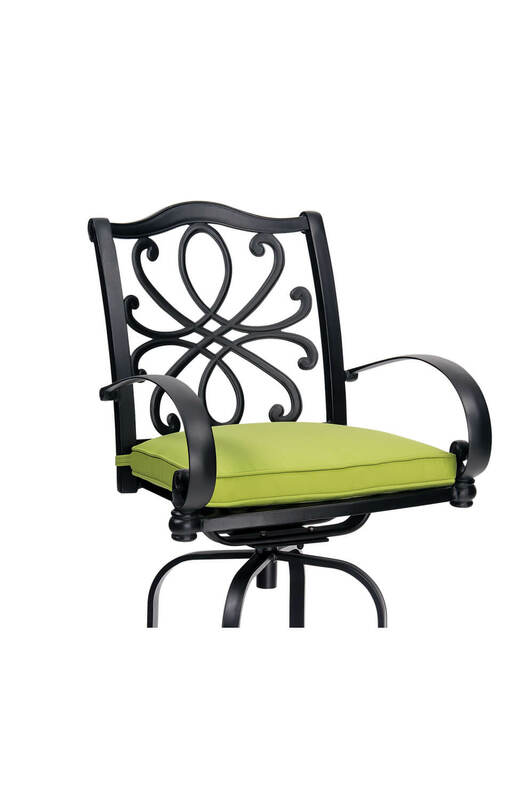 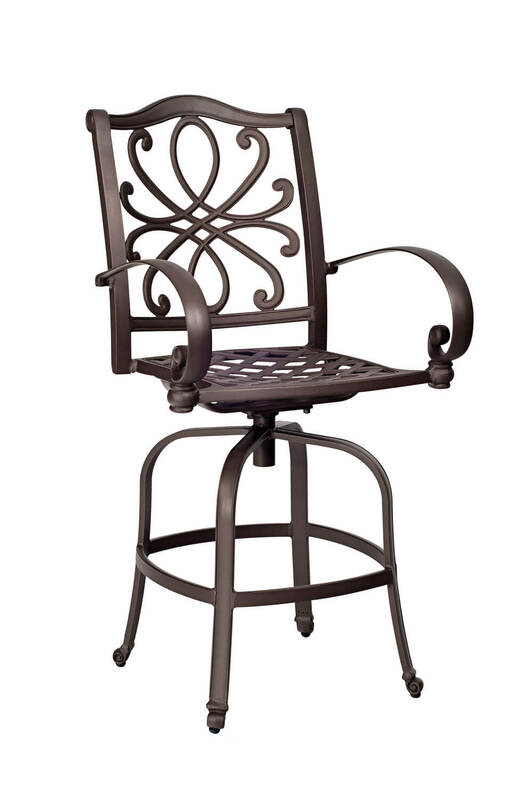 With gorgeous aluminum scrolled arms and an ornamental floral designed back, Holland is utterly impeccable.